Union Pacific Railroad and Katoen Natie have held an opening ceremony at a new plastic packaging facility in the Prime Pointe Industrial Park in Dallas, Texas. The Katoen Natie facility currently features 262,000 sq ft of warehouse space and future expansions could increase capacity to 2.5m sq ft. It hopes to attract new business opportunities thanks to its proximity to the freight rail. This is Katoen Natie’s 20th NAFTA location and will allow customers to diversify their export channels to global markets. Producers will ship bulk railcars of plastic resin pellets to the warehouse where the pellets will be packaged and loaded into intermodal containers. After a short trip to the adjacent intermodal terminal, Union Pacific’s Dallas to Dock service will transport the containers to ocean ports via intermodal service. “With this new Dallas to Dock location we continue to expand our local and international network of logistic hubs. 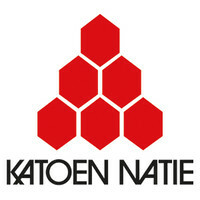 It will provide our customers an alternative export solution and a back up to their current export flows,” said Frank Vingerhoets, President of Katoen Natie, USA.